Bell peppers are so versatile, high in vitamin C and can be added to recipes from breakfast to dinner and everything in between. Try sautéing them in olive oil and serving with hummus. According to the U.S. Food and Drug Administration, bell peppers are free of fats, sodium and cholesterol. They’re also low in calories and high in vitamin C.
Bell peppers contain vitamin C, which has been known to fight infection, boost the immune system and helps prevent cancer. Red peppers are rich in lycopene, which is effective in helping to lower the risk of certain types of cancer. 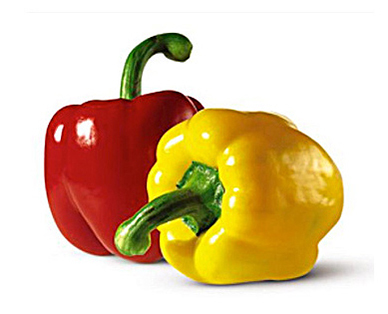 Bell peppers should be firm, bright colored with tight skin and are heavy for their size. Avoid any peppers that are dull, shriveled or pitted.